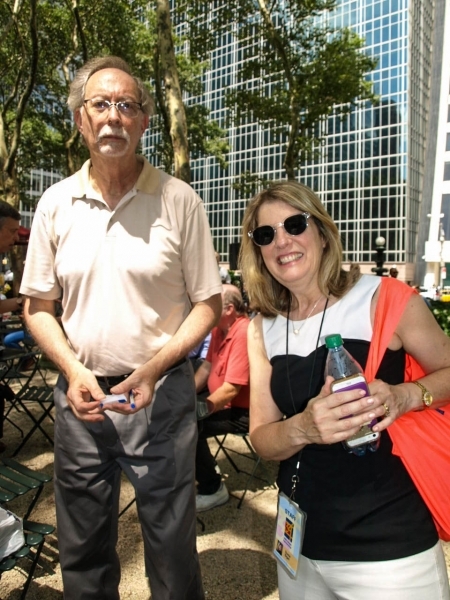 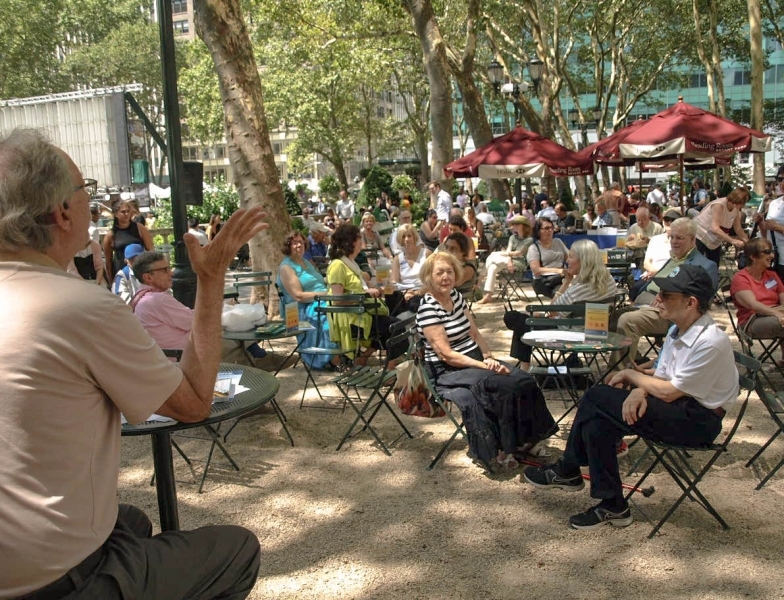 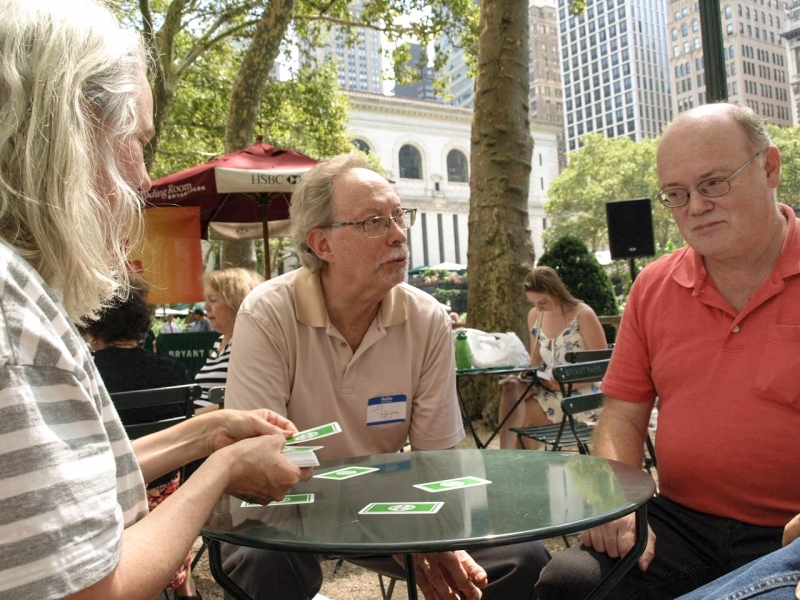 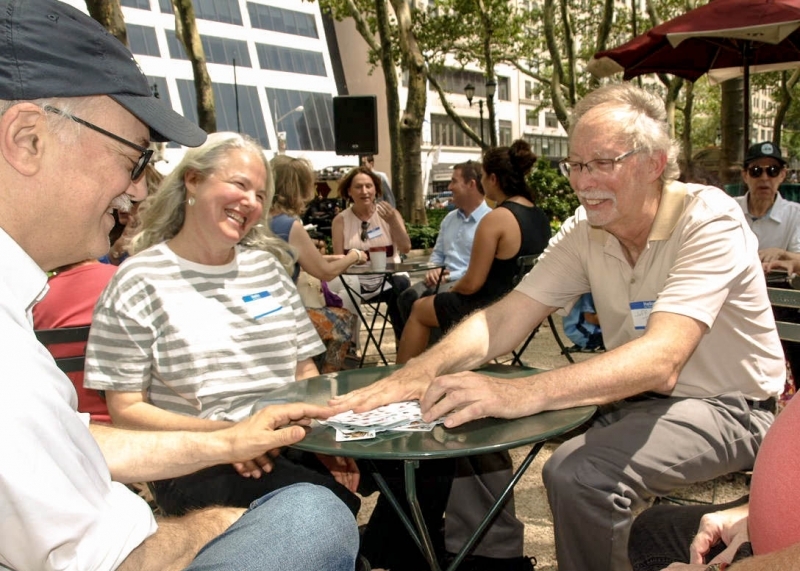 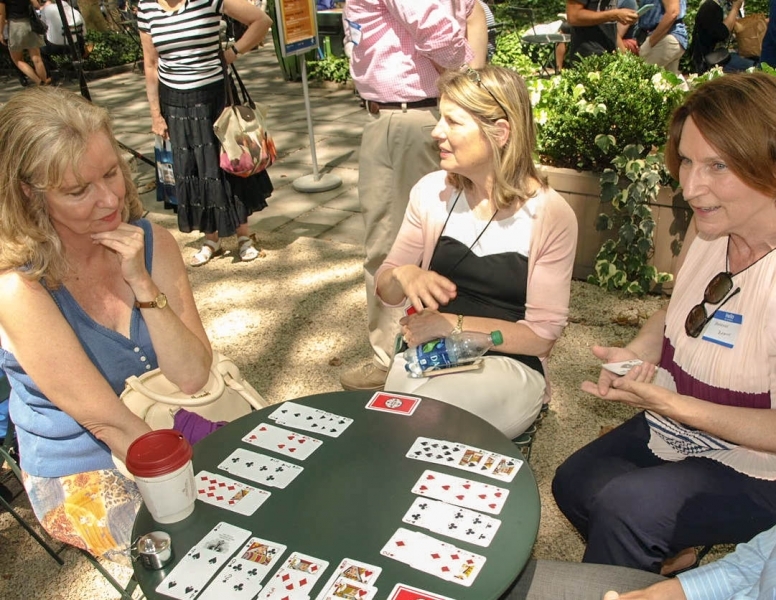 Jeff Bayone, author of A Taste of Bridge, visited Bryant Park’s outdoor Reading Room where he talked about the game of bridge. 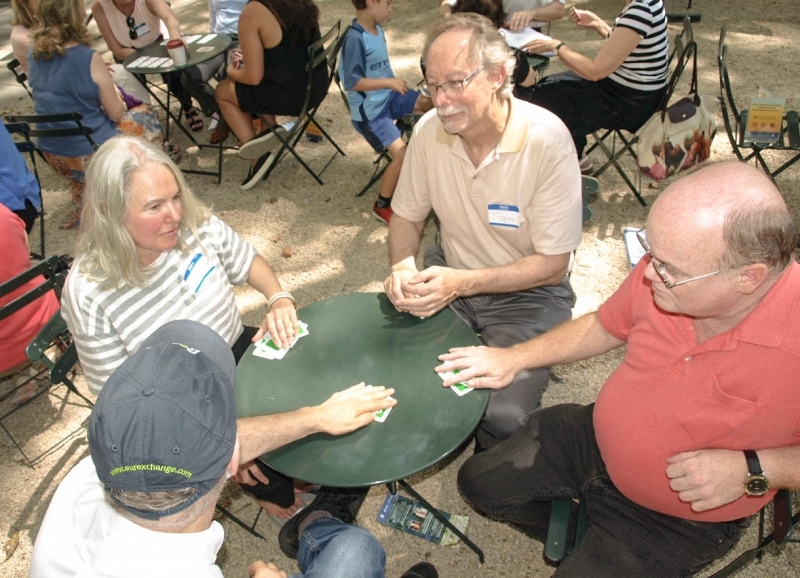 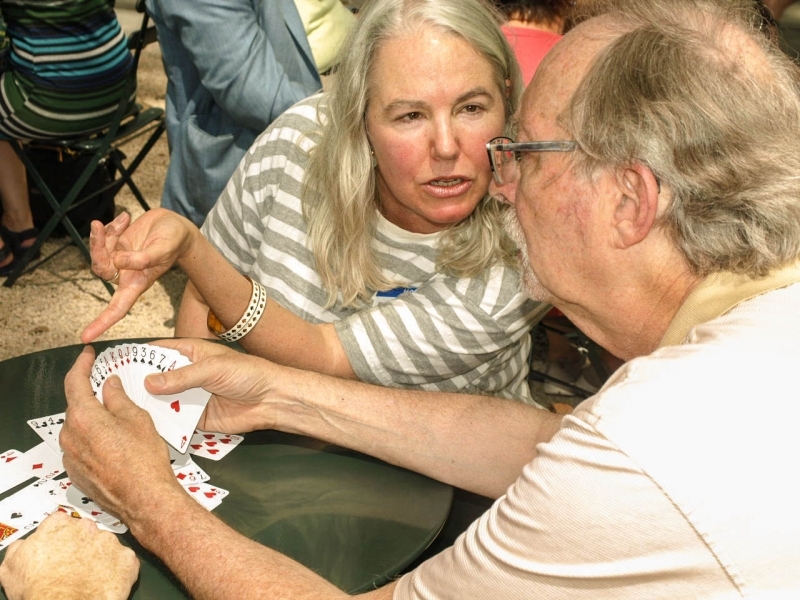 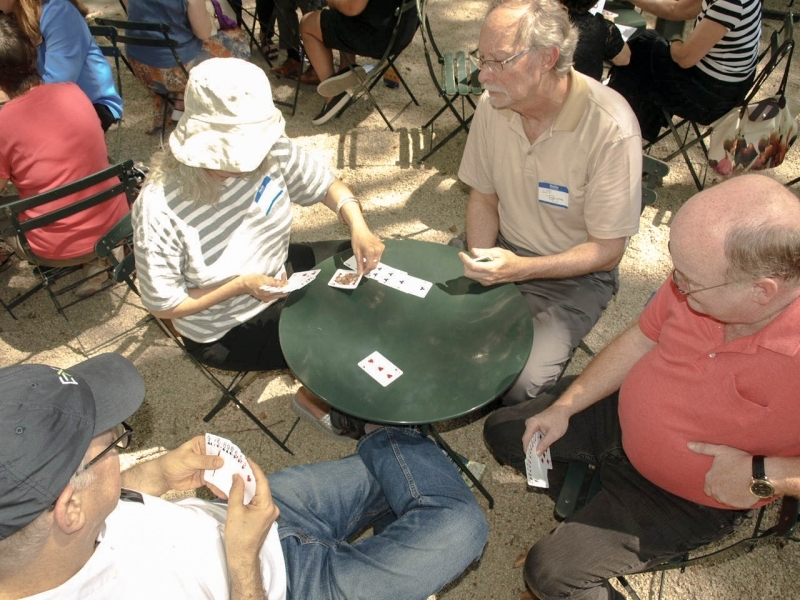 Dozens of people played bridge and took bridge lessons in the sun-dappled park. 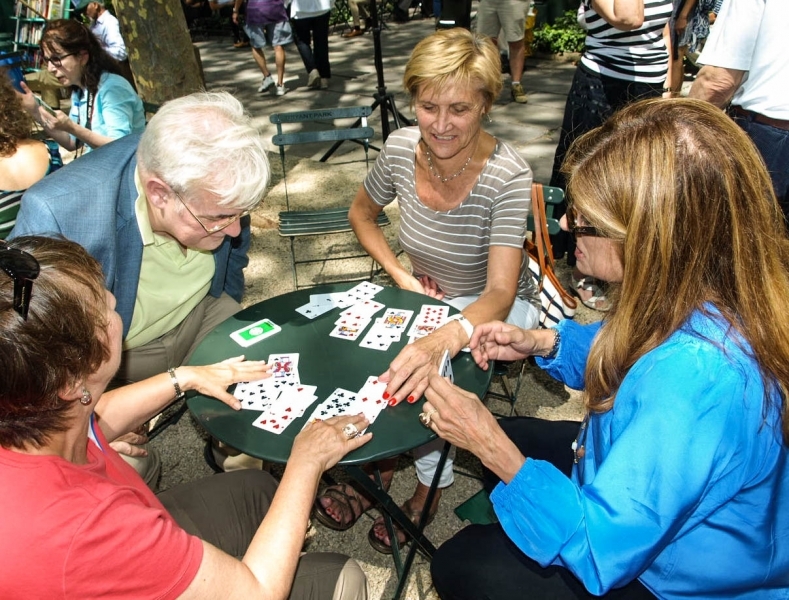 Monteiro & Company, along with Len Maniace, have graciously provided a selection of photos from the event.